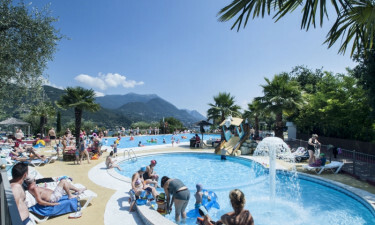 Camping Weekend is a pristine luxury camping resort found straddling the stunning shores of Lake Garda. With a range of amenities making this location ideal for your luxurious holiday break, just get in touch with LUX-camp to hear more. Why should I camp at Camping Weekend? A sandy beach located only moments way from the luxury mobile homes. 80 pitches with a choice of scenery. Relaxing activities on and near the site. Camping Weekend understands that its guests want nothing but the very best when selecting this luxury camping site. There are 25 individual washing cubicles which offer an added sense of privacy. Access to washing machines and tumble dryers is considered standard and all facilities can be accessed by those with wheelchairs. 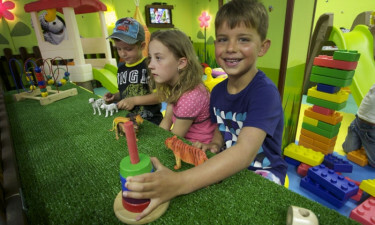 Guests can really make the most of their time here by partaking in some of the exciting activities on offer. On the site itself, visitors will enjoy table tennis, bicycle hire and an open-air pool. For those who want to travel a little further afield, just a few kilometres away there are options available for sailing and surfing, as well as enjoying a good round of golf or game of tennis. When it comes to enjoying precious moments of relaxation, visitors can enjoy the nearby saunas and thermal baths. This sense of camping luxury can be enjoyed between the months of April and September. Not only will these dates provide the most amenable weather conditions, but excursions into the surrounding countryside are always possibilities. The waters of Lake Garda are cool and refreshing during the height of the summer while the sun overhead boasts a welcome change when compared to more northern locations. Another possibility to consider is renting a boat and sailing the glass-like waters of Lake Garda itself. This service is located only 4 kilometres away from the resort. There is a lovely restaurant located within this luxury camping site. Guests can enjoy international menus or they could instead choose to sample local Italian dishes, for example the pizzas, which are prepared in traditional stone ovens. There is, of course, a stunning selection of wines to be enjoyed during any meal. This location provides a choice selection of meats and fish; many of these locally harvested. A bar within the restaurant offers scintillating views of Lake Garda and is an ideal spot for a lazy afternoon cocktail or a late-night drink before heading off to bed. 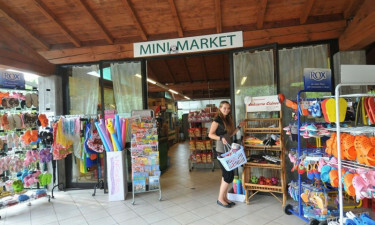 A mini-market supplies all of the necessities you could think of. With a choice of fresh fruits and vegetables, visitors can enjoy cooking up their own fantastic dishes. Sanitary supplies and English produce are likewise available, as well as international newspapers. The market is open every day of the tourist season. To learn more about what this incredible camping holiday has in store, please speak with a representative at LUX-camp. Camping Weekend is indeed a luxury camping experience not to be missed!